The representatives of the NEPA provincial office in Nangarhar together with FGA Seniors also attended the programme. 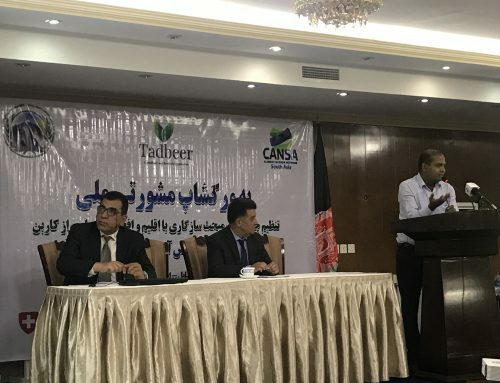 Mr Ajmal Shirzai, Co-chair of CANSA Afghanistan hosted the ceremony at the FGA office in Jalalabad City in East Afghanistan. There were two sessions during the celebration of climate change action day. The first session was started by a speech of a community representative who welcomed the guests from NEPA-Kabul, and other participants. He elaborated the community concerns about the impediments to community projects from NEPA Provincial office in their localities, through the ECCs have already conducted the social and environmental safeguarding of their infrastructure projects. They asked the NEPA DDG to resolve community challenges with the NEPA provincial office to start their projects. Mr. Shirzai, Co-chair of CANSA Afghanistan, thanks to NEPA and ECCs leaders for their active participation to the program, and delivered his presentation on the history of Climate Action Day, and reason for celebration in the world, the concept to climate change, the causes, the negative impacts, and the mitigation and adaptation strategies to combat with the climate change impacts on the life and livelihood community people in eastern Afghanistan. He mentioned that both mitigation and adaptation strategies and actions are important to be considering by NEPA, this should not impediment the right of community to development and their access to development opportunities. During the second session, the representative of NEPA provincial office, presented the NEAP roles and functions at the local levels; and the responsibility of community leaders, tribal and religious leaders on environmental conservation. The session helped the ECCs leaders to understand NEPA roles and to establish their linkage to negotiate and resolve their common environmental concerns. The last session was about an open meeting of NEPA and ECCs. The meeting was chaired by his excellency Ezatullah Sediqu, DDG NEPA and Ajmal Shirzai, Co-chair CANSA Afghanistan. 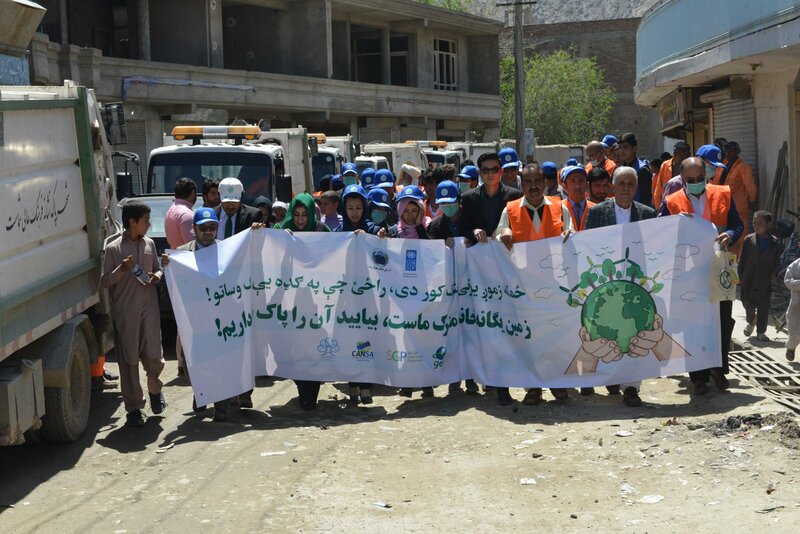 The DDG started his speech with thanks to CANSA, FGA and ECCs for organizing the celebration of climate action day for the first time in Eastern Afghanistan. He was pleased to learn that this celebration has established a 3 ways partnership between NEPA as top-down actor, with ECCs in bottom-up actors and FGA as outside-in agent to promote environmental protection and sustainable development through carry out local level actions. 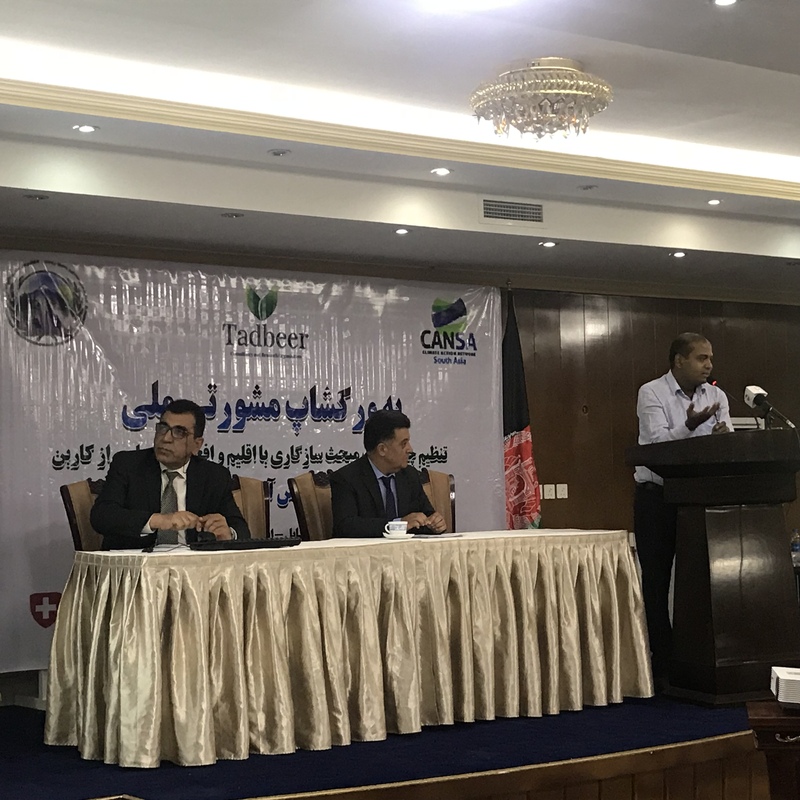 The DDG promised the ECCs to register their institutions (ECCs) in the government according to Afghanistan National Environmental Policy. 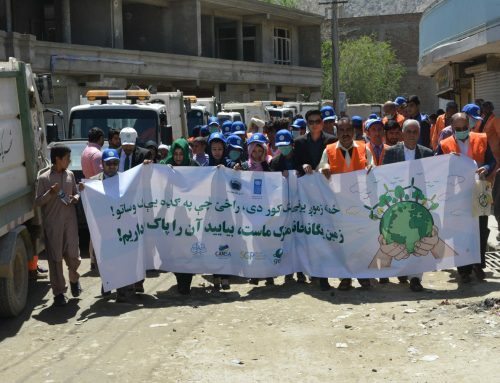 During the second day of visit (25 October) the NEPA delegation together with CANSA – Afghanistan co-chair and FGA seniors have visited the ECCs offices and activities in the District # 3 and District # 5. The ECCs leaders have explained their action plan on environmental conservation to delegation.